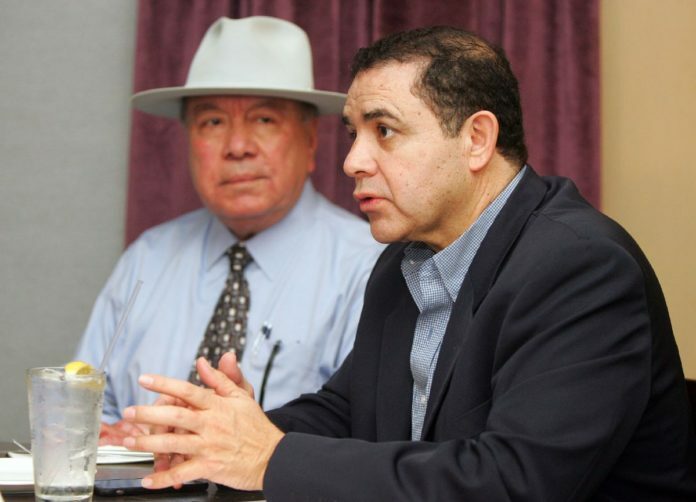 A deal on DACA and an impending government shutdown are now both unlikely to occur, according to U.S. Rep. Henry Cuellar, D-Laredo. The news comes after a meeting with White House Chief of Staff John F. Kelly on Wednesday, more than a week after a discussion was held between bipartisan members of Congress and the president. In his former post as secretary for the Department of Homeland Security, Kelly visited the Rio Grande Valley in February 2017 and toured the Texas border with Mexico with Gov. Greg Abbott. The talks centered on legislation aimed at replacing the Deferred Action on Childhood Arrivals program, which shields more than 700,000 young immigrants from deportation who arrived in the United States illegally as children. These are protections Trump ended last September and will expire in March. Cuellar said that a deal for DACA would most likely not be resolved by Friday because Republicans want more concessions from Democrats on border security. Still, he expects a vote Thursday on a continuing resolution running through Feb. 16, which would avoid a government shutdown for at least another month. This is the second such resolution in as many months. According to a draft, the proposed resolution includes funding for the Children’s Health Insurance Program, or CHIP, which expired at the end of September; as well as delays on some of the taxes in the Affordable Care Act. “As a member of the appropriations (committee) we need to put (aside) money for CHIP, which is very important,” Cuellar said. Cuellar said there was a moment during the meeting when a member of the caucus and Kelly exchanged apologies regarding past public comments each made about the other and which were reported in the media. A congressional aide who was in the room with Kelly and members of the Hispanic Caucus confirmed that talks were more civil in nature. The congressman said Kelly, who was not part of Trump’s campaign, told the group that he’s working on tempering some of the president’s campaign promises, specifically in regard to the border wall along the U.S-Mexico border. Cuellar said Kelly also conceded that it was likely unrealistic to have a wall from “sea to shining sea,” and that the president would want 600 to 700 miles of border wall construction, which the congressman would be opposed to. In addition, Kelly mentioned levee walls during the meeting and said the White House was aware that construction of walls in “sensitive areas” could cause damage. Cuellar said he considered these remarks an acknowledgement of the concerns the congressman shared with the president last week. Last summer, the administration identified the Santa Ana Wildlife Refuge in Alamo and the National Butterfly Center in Mission as priority locations for border wall construction — something local environmentalists say would cause irreparable harm to the environment and subsequently lose ecotourism dollars for the region. On Tuesday, White House spokeswoman Sarah Sanders told reporters that the latest bipartisan immigration deal for Dreamers, which was proposed by senators last week, failed to include sufficient funds for border security — a point of contention for both sides. The congressional aide added that the meeting went well and that it does appear the president wants to make a deal on DACA so long as concessions are included on issues such as border security. Echoing sentiments from earlier in the week, Cuellar remained optimistic that talks are headed in a positive direction, despite conceding that a deal on DACA would not happen by the week’s end.